Betting on Volleyball: Should You Try It? One of the main qualities good coaches of all sports, and not just volleyball, possess is the ability to help players understand what they need for the team to become successful, and develop the skills of individual players in a way that makes participation in the practices and matches exciting and fun. To accomplish this, you need to add creativity to your volleyball practices. Every time you watch a true professional do his or her job, the job looks deceptively easy. Volleyball coaching is not an exception. You want your players to be excited about practices and to anticipate the time they will be spending on the court. In order to be successful, you need to put some extra thought into how you can make the practices interesting. You want your players to be excited and smiling when they learn and practice new skills. Study other successful coaches. Put yourself in the shoes of the players and ask yourself what would make drills and practices more interesting and exciting. It is very likely that if you are throwing practices on the whim with just a few minutes of preparation beforehand, they will not be very effective or exciting. In addition to this, having such practices is not really fair to your team because players need come to the practices to learn, develop skills and have fun. When you design practice sessions, incorporate the drills that keep players on the move, push them out of their comfort zones, because that’s where learning and progress occur, yet at the same time, match their skill levels. It is important to find a balance between getting a player out of their comfort zone yet not push them so far that they can’t learn or perform. 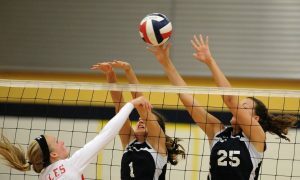 Drills that make the players stand in line for prolonged periods of time or watch their teammates play volleyball more than they are playing themselves are boring yet exhausting at the same time, which is why you need to do your best to avoid them.